The Trick to Time is an unforgettable tale of grief, longing, and a love that lasts a lifetime. An incredibly moving and multilayered piece of writing from Kit de Waal. Her turn of phrase and skill with the written word had me sinking in to this story from the first page. I wanted to read it all in one go but I found that the story was too powerful. I needed to read it in chunks, to absorb the emotion and turmoil of the characters and to laugh and cry along with them at a gentle pace rather than rattling along to get to the end. Even now, having read this beautiful novel, my heart still mourns for these characters and the dreams they had. 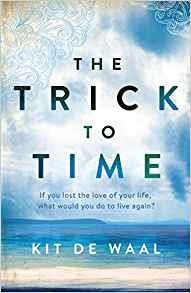 The Trick to Time will be published on the 29th of March 2018 by Penguin. An exciting start to a new series. This historical mystery is a little bit darker than most of historical mysteries that I've read lately. Lady Helena at first appears to be quite a mild and meek character who is easily dominated by her older siblings. 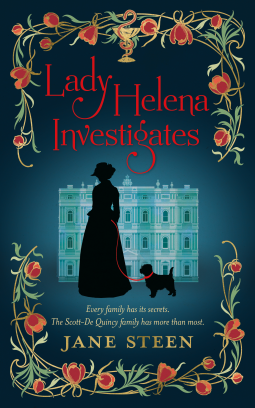 However as she gets mixed up in an investigation to find out what really happened to her husband Helena discovers hidden depths and a strong will. I enjoyed watching her grow and take charge of her life. There was plenty of mystery surrounding the death of her husband as well as other goings on in their little community. Just when I thought she had everything figured out the story took another turn and I was left completely surprised with revelations about her family. All the threads wove together perfectly to create a wonderful web of intrigue, murder, love, and old family secrets. Lady Helena's investigative partner is the French doctor Armand Fortier. There is an air of attraction between the pair but Fortier proves to be another man of mystery and we are left with the feeling that he is hiding quite a lot from Helena and maybe can't be trusted completely with her heart. I quite enjoyed Lady Helena's interactions with her brother's man of affairs. She is quite snobbish in her dealings with him and she thoroughly dislikes him which I found quite entertaining. I can't help but feel there could be a reluctant friendship and possible romance there if things don't work out with Fortier. I was impressed with this first in the series and I look forward to reading the rest of the series as it becomes published. Can a mother be true to her children if she cannot be true to herself? Having her son and daughter at 21 forced Lucy Murphy to walk away from a glittering future. They are the loves of her life and she is determined that they will have wonderful lives. So a scholarship to a prestigious school seems like a golden opportunity for the twins, the fulfilment of every wish Lucy has for them. But Lucy is confusing her thwarted ambitions with what her children really want. After all, seventeen-year-olds have dreams of their own, dreams they cannot always share with their mother. 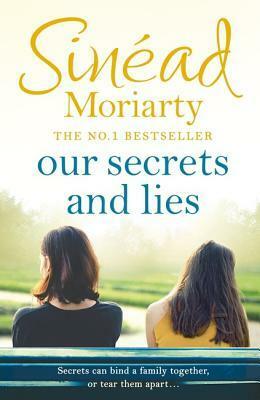 Our Secrets and Lies is a moving, gripping and thought-provoking story about a mother learning the hardest lesson of all - how to let go of her children and how to live without them. A touching and emotional story that had me laughing out loud and occasionally in tears. The author manages to touch upon a variety of themes and they are handled with empathy and attention to detail. I really liked that a cliche priest didn't factor anywhere in the story to lecture Lucy or to force her down the aisle. This really is a novel that reflects contemporary Ireland. I liked Lucy and Tom from the beginning. They didn't have much of a chance to survive the mess they found themselves in because they were young and immature and because of the interference from a certain individual who held sway over them. But the story wasn't really about Tom and Lucy. It's about family and friendship, love and hope. Lucy's family and friends made an excellent cast of side characters. In fact it is these characters that really made the novel shine for me. Young Ollie provided light relief and his antics truly had me laughing out loud. I felt for Lucy's children, Dylan and Kelly, who had to constantly strive to meet their mother's expectations. Kelly also had the added difficulties of being bullied at school and thought the author did a great job of highlighting the issue of cyber bullying and how relentlessly it occurs. It doesn't hold to a timetable and you can't escape it just by leaving the school building. I also liked Lucy's sister Jenny. She followed her dreams of being a makeup artist and the fact that she is very happy with her life, single and childless, was refreshing to read. Plus her romantic shenanigans made entertaining reading. This was a great story, difficult to put down. The ending left me feeling happy and imagining good things for this family and for Tom and Lucy. I'd like to welcome Linda Weaver Clarke to the site today to tell us more about her 'Rebels' series. 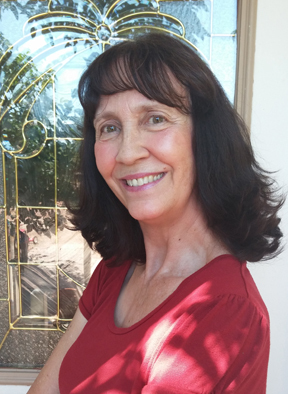 About Author: Linda Weaver Clarke was raised among the Rocky Mountains of southern Idaho and now lives among the red mountains of southern Utah. Linda is the mother of six daughters and the author of 23 books. She has written in several different genres, which include: historical romances, romantic cozy mysteries, a mystery suspense series, a children’s book, and non-fiction. All her books are family friendly. She has also traveled throughout the U.S. and taught audiences how to write their family history, giving more than 500 workshops. My favorite time period is historical because it’s during a time when men defended a lady’s honor and treated women with respect. The women, on the other hand, were not frail by any means. I love strong women characters who fight for what they believe. I love to write stories with a mixture of romance and adventure. My favorite loves stories are about a man and woman who know they are meant for one another, even though there are trials along the way. The Rebel Series is a Historical Mystery/Adventure Romance set in the 1700s. Many people have asked me why I wrote a story about rebels. Simple! I love a rogue who fights for justice and for the people. It was a bunch of rebels who fought for their freedom in America. They wanted to be free from the dictatorship of a king. How about Robin Hood? He and a bunch of men did the same thing as they helped the needy and poor. Liberty is something that I cherish. So I decided to write about a small country that struggles to be free. THE REBELS OF CORDOVIA: “This creative take on a Robin Hood-like story is charming and touching, and teaches some great morals about agency and choice. It reminded me of childhood fairytales of good versus evil, with a nice romance weaved into it.” --Author Charissa Stastny. In The Rebels of Cordovia, Robin’s Rebels realize they must fight against the tyranny of a wicked king and help the people survive the oppression. In this battle for freedom, a tender love story begins to blossom. Daniel, a rogue and a leader of the Freemen, doesn’t realize that the sweet feminine woman he has met and is falling for happens to be the leader of Robin’s Rebels. Realizing the importance of uniting all the rebel groups, Daniel tries to recruit Robin’s Rebels but they refuse. Now he has to find a way to convince them. When he finds out the leader is actually a woman, what will his reaction be? 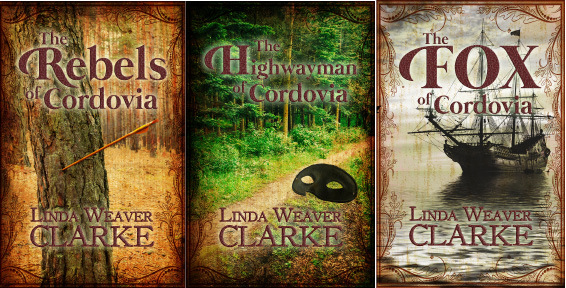 In book 2, The Highwayman of Cordovia, the people enjoy their new-found liberty, but all is not well. A group of powerful men plan to take over the small country and replace the leader with a king. With the help of a bold highwayman and a pastor’s daughter, they try to save their country from being taken over by a power-hungry leader. As they strive to stop the Kingmen and thwart their plans, Christine finds herself falling in love with Austin Knight. The only problem with their relationship is that she thinks he is her knight in shining armor instead of a highwayman. If she finds out his trade, what will her reaction be? As a pastor’s daughter, will love override her values? In book 3, The Fox of Cordovia, a sinister plot has just been uncovered and its up to a former patriot and a young nurse to discover who is behind it. Caroline is engaged to the future mayor of Laketown, a man of influence and greatly respected. But all that changes when she overhears a conspiracy behind closed doors. After being discovered, she runs for her life. Caroline needs to report her findings, but whom can she trust? When she asks Jesse Conover for help, the adventure begins. In a 1771 German novel, someone complains about the “newly-introduced waltz” among the aristocrats. He wrote: “When he put his arm around her, pressed her to his breast, cavorted with her in the shameless, indecent whirling-dance of the Germans and engaged in a familiarity that broke all the bounds of good breeding—then my silent misery turned into burning rage.” I was so intrigued by this description. The waltz finally became fashionable when the wife of a Russian ambassador endorsed it. To read a sample chapter from each of my books in The Rebel Series, go to http://www.lindaweaverclarke.com/historicalromance.html and click on the TITLE. To purchase a book from Amazon, Barnes and Noble, or Audible Audiobooks, go to http://www.lindaweaverclarke.com/purchasebook.html. When a rash of jewel thefts strikes London, magistrate Patrick Colquhoun deploys his Bow Street Runners to put a stop to the crimes. The Russian Princess Olga Fyodorovna is to attend a production of Handel’s Esther at Drury Lane Theatre, where she will wear a magnificent diamond necklace. The entire Bow Street force will be stationed at various locations around the theatre - including John Pickett, who will occupy a box directly across from the princess. In order to preserve his incognito, Pickett must appear to be a private gentleman attending the theatre. Mr. Colquhoun recommends that he have a female companion - a lady, in fact, who might prevent him from making any glaring faux pas. 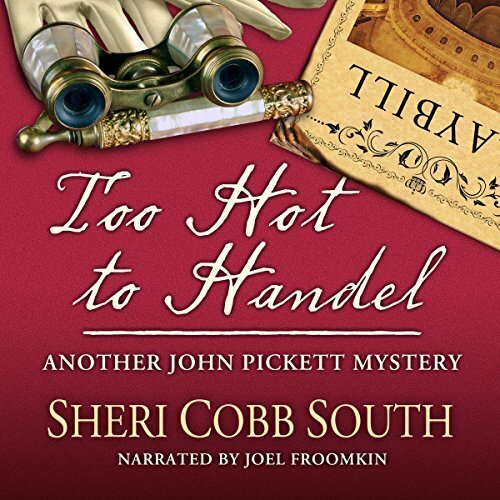 But the only lady of Pickett’s acquaintance is Julia, Lady Fieldhurst, to whom he accidentally contracted a Scottish irregular marriage several months earlier, and with whom he is seeking an annulment against his own inclinations - and for whom he recklessly declared his love, secure in the belief he would never see her again. The inevitable awkwardness of their reunion is forgotten when the theatre catches fire. In the confusion, the Russian diamonds are stolen, and Pickett is struck in the head and rendered unconscious. Suddenly it is up to Julia not only to nurse him back to health, but to discover his attacker and bring the culprit - and the jewel thief - to justice. The mystery of the stolen jewels wasn't very difficult to work out but I really loved following Julia on her attempts to solve the crime especially as John wasn't in a position to do so himself. I liked that familiar characters popped up to lend a hand or cause mayhem as the case may be. One of my favourite scenes was at the theatre when the jewels were stolen and fire broke out. It was very exciting stuff and John showed, yet again, how heroic and romantic he is. A brilliantly entertaining series. I can't wait to listen to book 6.